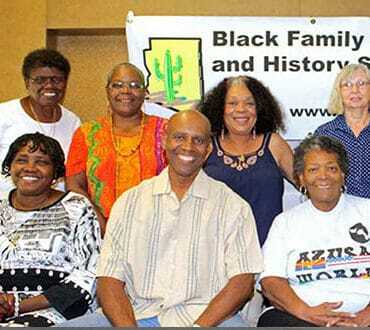 The Black Family Genealogy and History Society (BFGHS), a (501(c)3, was founded in September 1992, when a small group of African American researchers led by Larry Lee and Gail Stevenson met at the Church of Jesus Christ of Latter-day Saints (LDS) Family History Center in Mesa, AZ. As time went on, the group saw the need for a more formal structure, with bylaws and elected officers. Since 1992, there have been many accomplishments that have afforded us the opportunity to demonstrate to our membership the value of community and family. Many of the founding members and former BFGHS leadership deserve recognition for our successes today. They include Henrietta Beckford, Mordecai Spraggs, Kathy Ayers, Louise Dasher, Ruth Payne Franklin, and most recently Z Joyce McCollum. We sincerely appreciate all your valuable contributions and commitments over our history that continue to support our future journey together. Many of the founding members and former BFGHS leadership deserve recognition for our successes today. They include Henrietta Beckford, Mordecai Spraggs, Kathy Ayers, Louise Dasher, Ruth Payne Franklin, and most recently Z Joyce McCollum. We sincerely appreciate all your valuable contributions and commitments over our history that continue to support our future journey together. 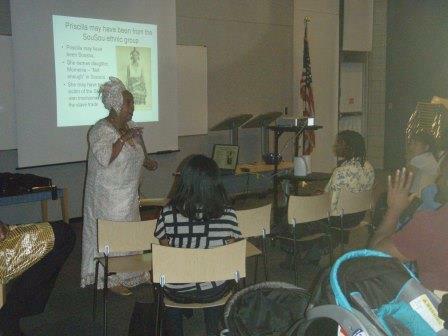 Thus, the Black Family Genealogy and History Society (BFGHS) was established to encourage and promote interest in family history and genealogy, particularly that of African Americans. BFGHS is an educational society, which communicates ethical standards and scientific methods of conducting genealogical research. BFGHS provides guidance on how to archive and preserve documents and information. 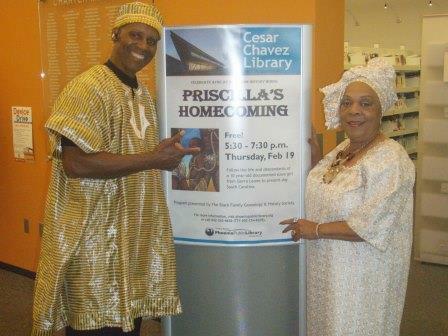 The Black Family Genealogy and History Society. (BFGHS) strives to preserve African-ancestral family history, genealogy, and cultural diversity by teaching research techniques and disseminating information throughout the community. Our primary goals are to promote scholarly research, provide resources for historical and genealogical studies, create a network of persons with similar interests, and assist members in documenting their histories. BFGHS recognizes that all people have ancestry that may contain genomes from populations around the world. Therefore, the organization strives to promote inclusive membership and participation of people from all ethnicities and cultures, without regard to race, religion, gender or color. Interactively provide access to interactive methodologies for interoperable technologies. Distinctively benchmark installed base synergy through backend process improvements. goal-oriented interfaces. Progressively reinvent. Aenean sollicitudin quis bibendum auctor sagittis awesome theme Duis sed odio sit amet nibh vulputate cursus.